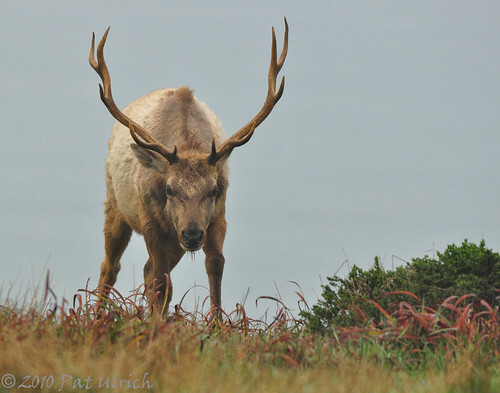 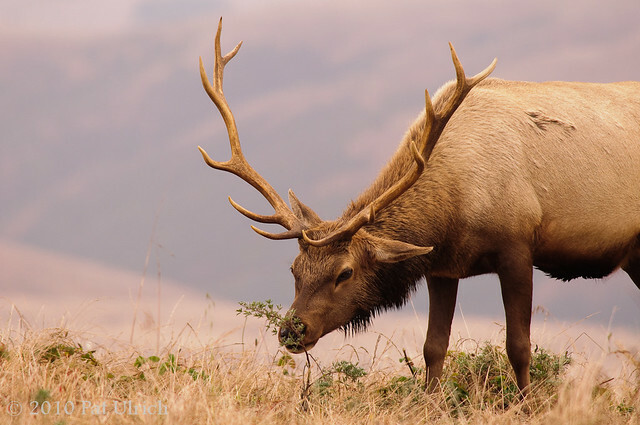 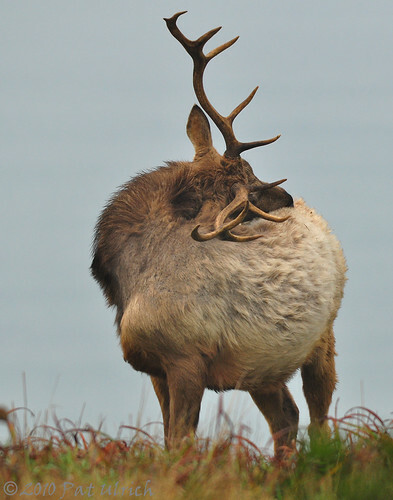 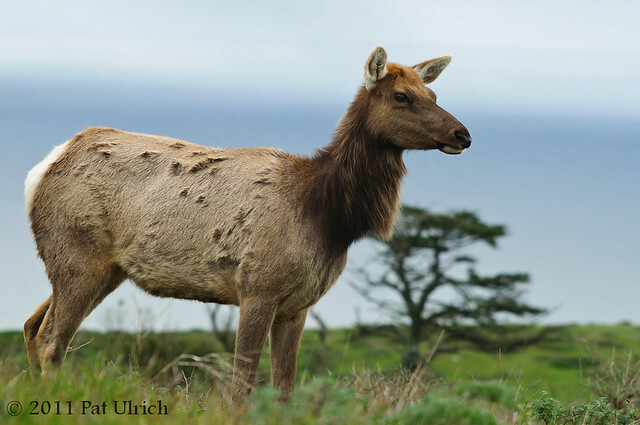 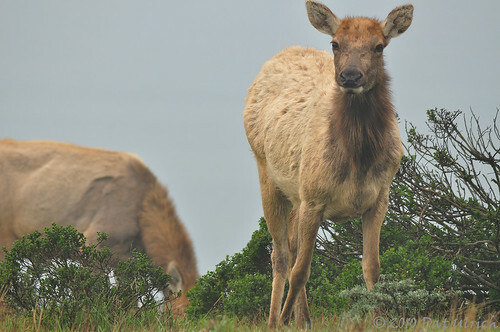 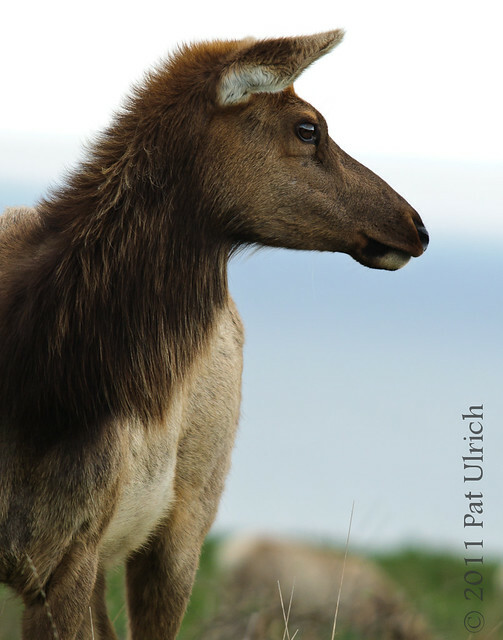 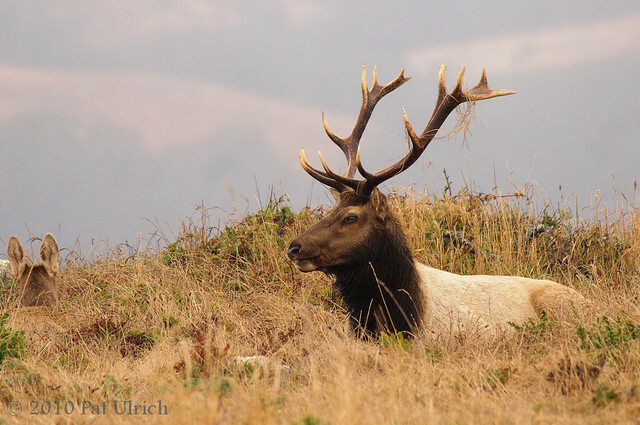 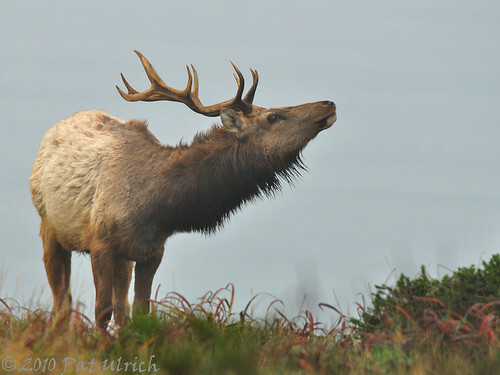 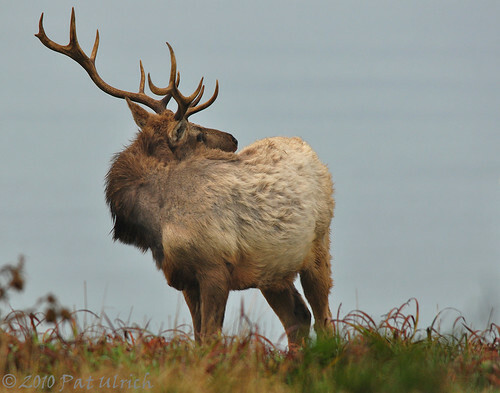 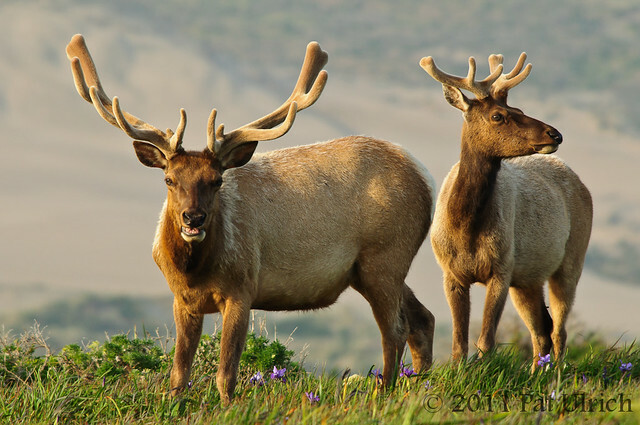 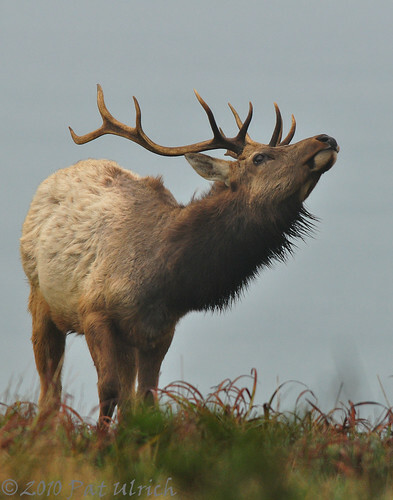 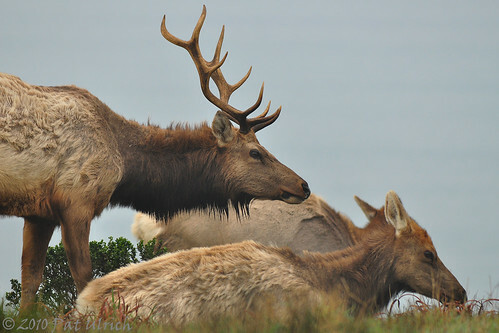 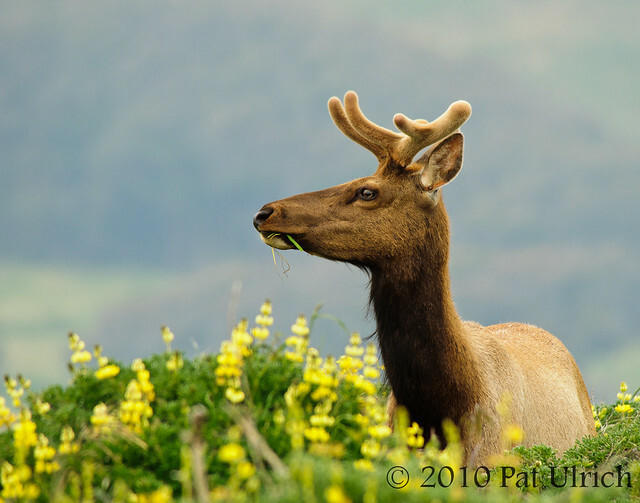 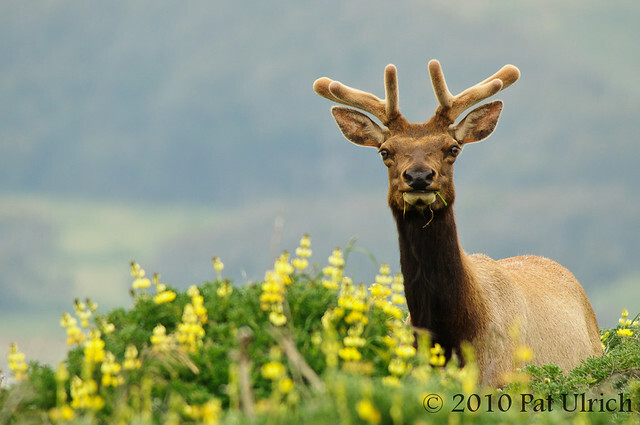 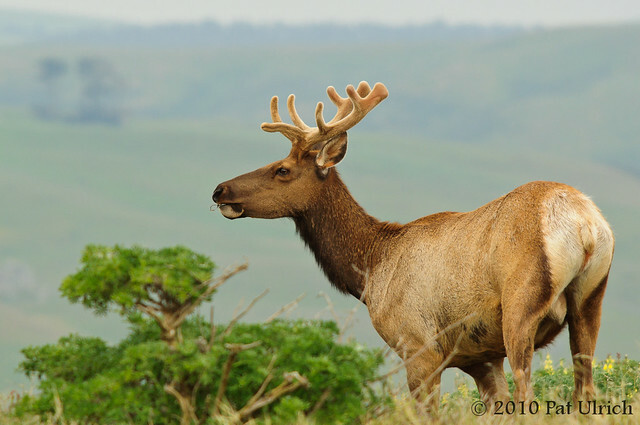 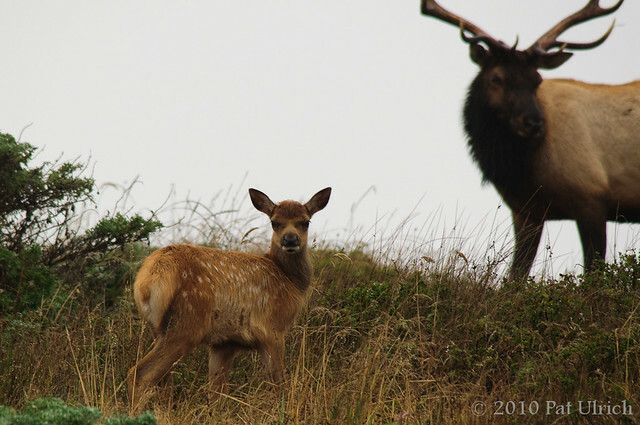 A tule elk cow standing on the hillsides of Tomales Point in Point Reyes National Seashore. 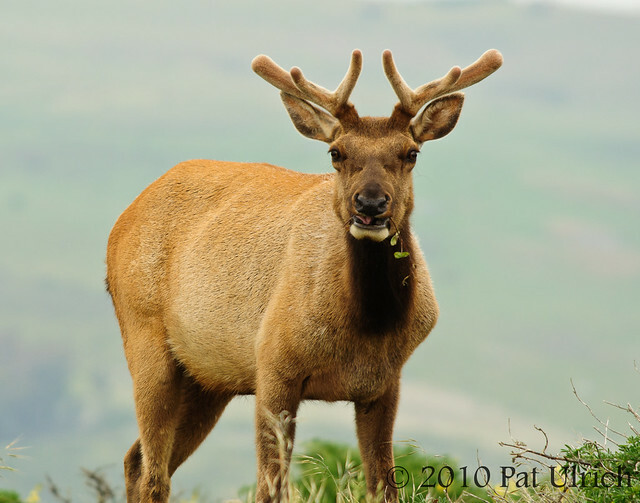 She was part of a very large herd that surrounded my car after I pulled off the road in February. 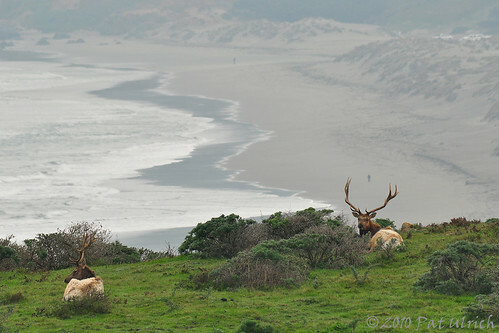 I liked the setting with that lone cypress tree in the background, and was hoping to include in a picture. 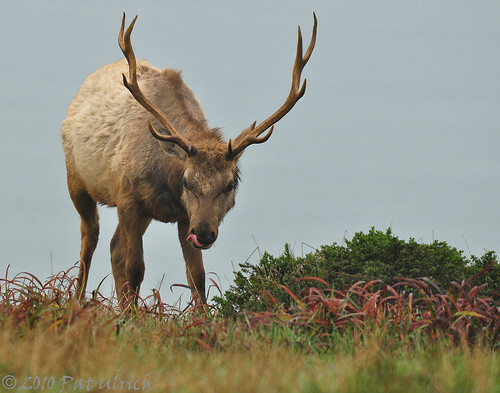 I picked a spot and waited for an elk to approach for the shot I had in mind -- she didn't quite line up where I wanted, but since I was in the car, I made do with the angle I had. 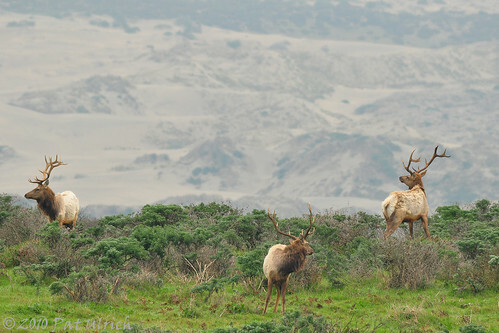 Yesterday was one of the best trips to Point Reyes National Seashore I've had in a while. 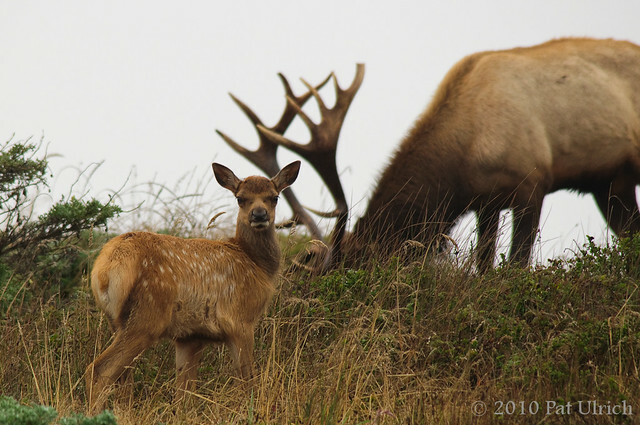 The park never ceases to surprise me, and even though the day started slow with a lot of rain for the first hour after sunrise, I left the park later that afternoon with a ton of images to sort through. 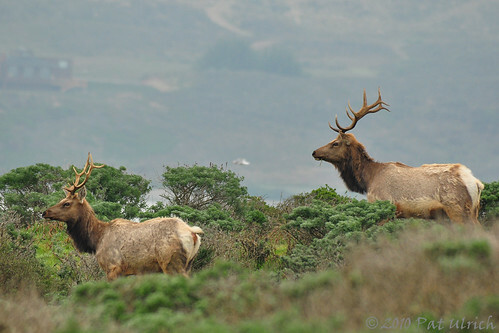 One of the highlights of the trip was spending some time in the middle of a very large herd of tule elk up on Tomales Point. 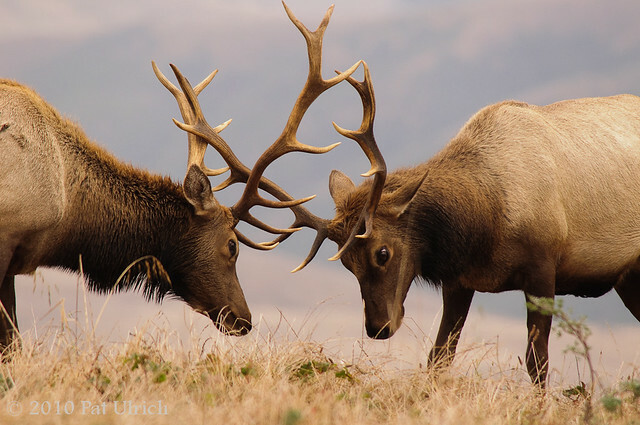 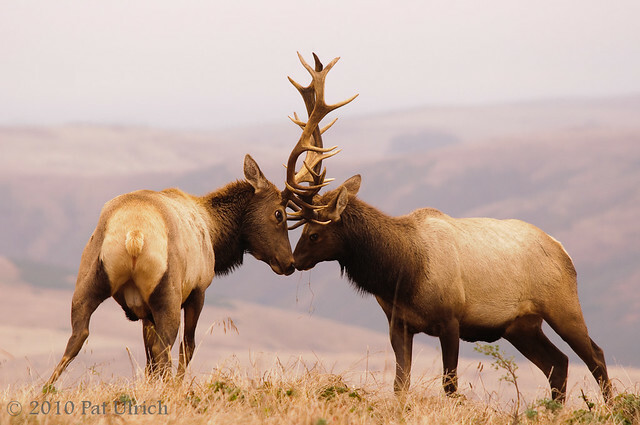 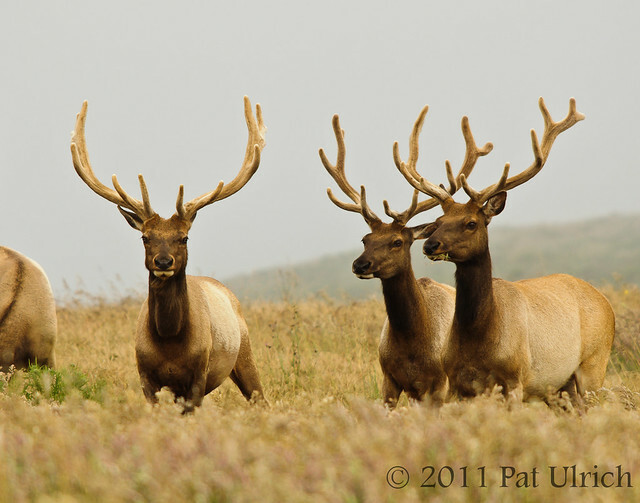 I've had great experiences with the elk before, but never in a group this large. 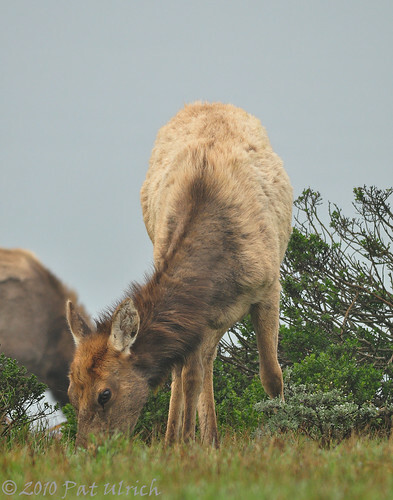 Perhaps in the winter some of the smaller herds form together into a larger one. 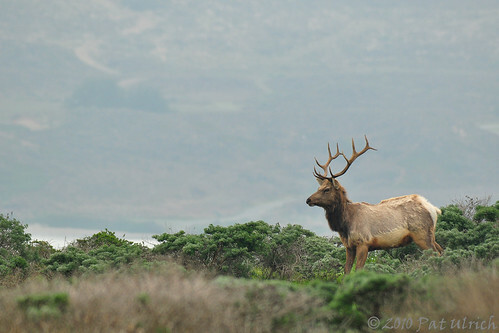 Anyway, this is one of my favorite shots from my first glance though the trip. 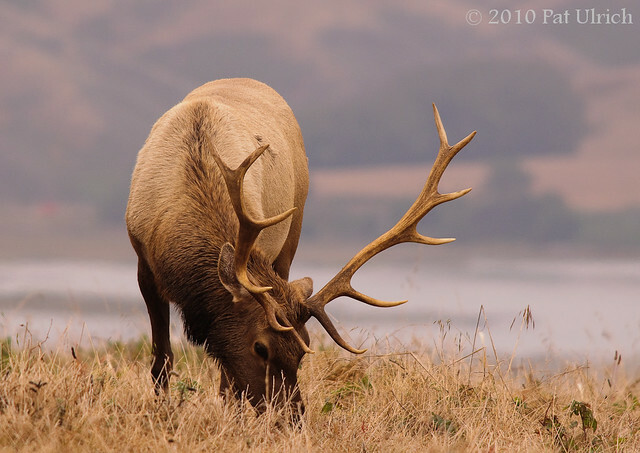 There's just something about the way this beautiful female is glancing out of the frame that just pulls me in.